In the midst of a disunited and unequal world, at Thomas Clipper we care passionately about doing our bit to help make things better. That’s why in 2017 we asked our customers and community who we should donate a double-digit percentage of profits from our UNITE cologne collection to, and they were unequivocal in their support for Médecins Sans Frontières, the brilliant charity dedicated to providing medical aid where it’s needed most. 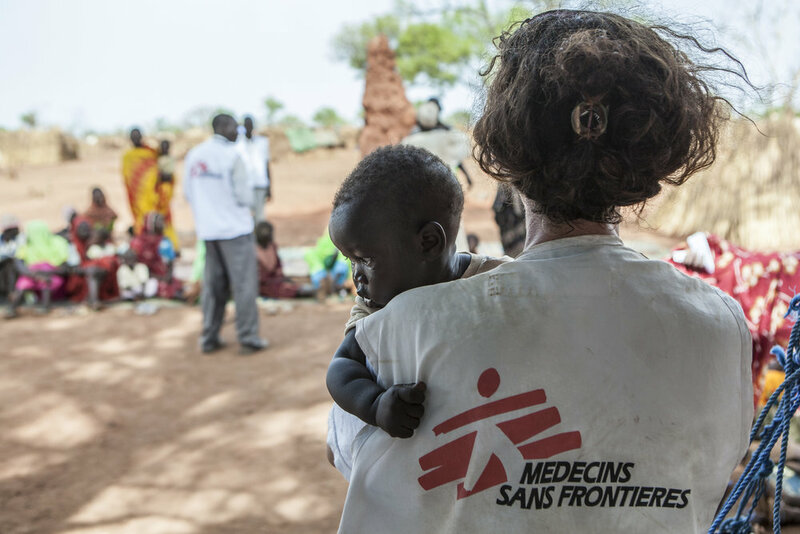 This week we were delighted to make our donation of UNITE profits to MSF for 2017. What’s more, we are thrilled to announce that MSF will continue to be our charity partner for 2018, and this year we will donate a sizeable percentage of all Thomas Clipper profits to MSF. MSF is an amazing organisation, recently mounting large emergency responses in Bangladesh, in remote parts of Yemen or in Libya, and working in those areas that other aid organisations find difficult to reach. On news of Thomas Clipper’s donations, James Kilffen, Head of Fundraising for MSF UK said: "We are delighted to have Thomas Clipper supporting our work through their generous commitment for 2018. With their sponsorship, we can continue to go where the need is greatest, responding rapidly to save people’s lives in conflict zones, natural disasters and epidemics."